Udo's Choice is a fantastic range of products, including probioics, digestive enzymes, green drinks & its flagship product - Udo's Choice Ultimate Oil Blend. This a certified organic blend of unrefined nutritional oils, free of the contaminants and damaged constituents found in processed oils. Its unique formulation will provide you with an excellent source of the unprocessed, readily utilised omega 3 and 6 essential fatty acids that are vital for life. High-grade juicers, such as the Matstone 6 in 1 juicer burgundy, that are capable of juicing wheatgrass, spinach, kale, carrots and many other leafy greens, that conventional juicers cannot juice. You can even make pasta, baby food & bread sticks! 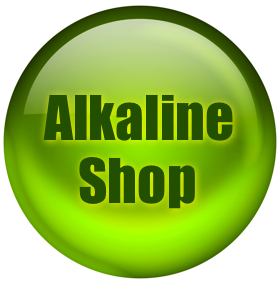 Produce your own living mineral alkaline water. The Jupiter Melody was introduced to the market in 2003 and swiftly became the best selling ioniser in the world. It has since been updated in 2006, and continues to offer the most flexible fitting options and the most reliable performance, with the lowest return rate in the industry. Choosing a Melody for your drinking water needs, you can’t go wrong! Green drinks containing alkaline forming ingredients to help balance your body’s pH & provides you with the vitamins, minerals, antioxidants, amino acids, and plant proteins you need for cell support. 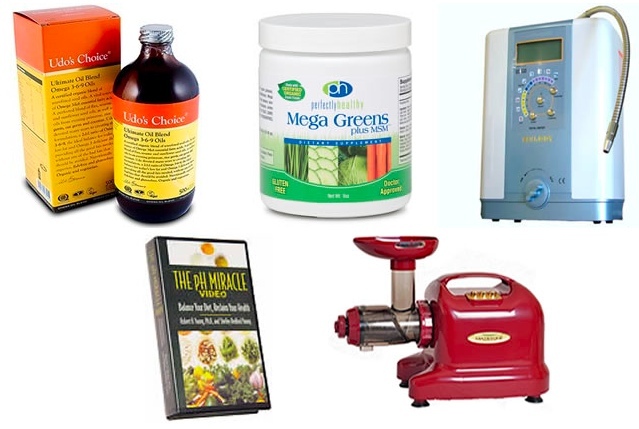 Also rebounders for aerobic energy and lymphatic stimulation, books, sprouters, pH drops, pH testing strips, tutorial CDs, alkaline beauty products, organic virgin coconut oil for cooking and more alkaline supplements...!